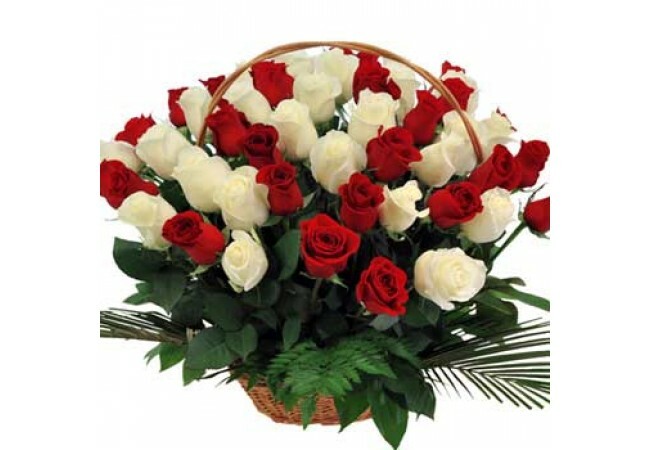 Description of the basket: Basket with bright red and white gently roses beautiful combination, give all your warm feelings to someone so dear. 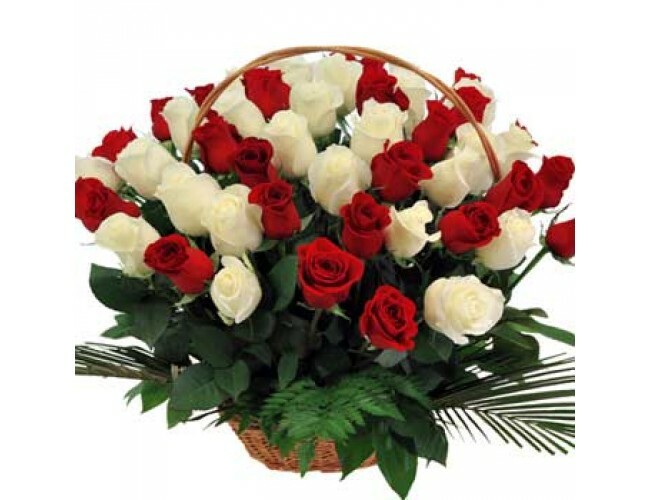 Composition of the basket: 51 red and white roses, greenery, basket, decoration. (The basket can be replaced with the same type, in case of absence of this model in stock.